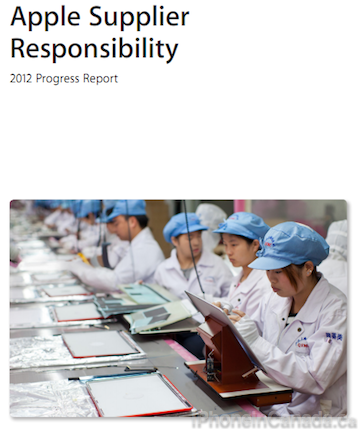 Apple has posted its Supplier Responsibility Progress Report for 2012 on its website that details the steps it takes in dealing with suppliers and how workers are treated. 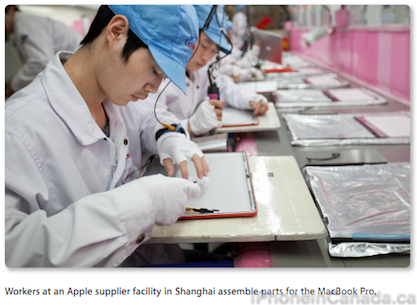 All companies must adhere to Apple’s Supplier Code of Conduct if they want to do business with them, and part of that includes both scheduled and surprise audits of working conditions in factories and beyond. Our audits have always checked for compliance with environmental standards. 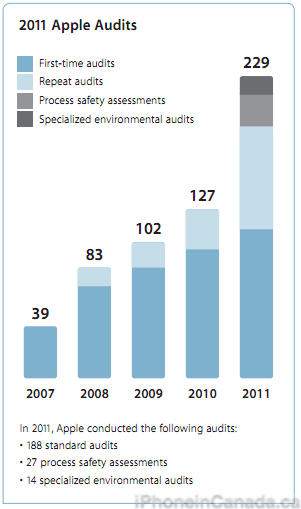 In 2011, in addition to our standard audits, we launched a specialized auditing program to address environmental concerns about certain suppliers in China. Third-party environmental engineering experts worked with our team to conduct detailed audits at 14 facilities. We uncovered some violations and worked with our suppliers to correct the issues. We will expand our environmental auditing program in the coming year. We have a zero-tolerance policy for underage labor, and we believe our system is the toughest in the electronics industry. In 2011, we broadened our age verification program and saw dramatic improvements in hiring practices by our suppliers. Cases of underage labor were down significantly, and our audits found no underage workers at our final assembly suppliers. 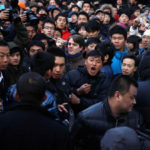 Apple maintains a policy of maximum 60 working hours per week with one day off for employees of its suppliers. However, their report uncovered more than 93 facilities where 50% of employees exceeded these limits. In response, Apple started tracking hours at these facilities themselves and forced companies to revise shifts and training. Apple calls this “a level of transparency and independent oversight that is unmatched in our industry.” You can check out the full PDF report here.